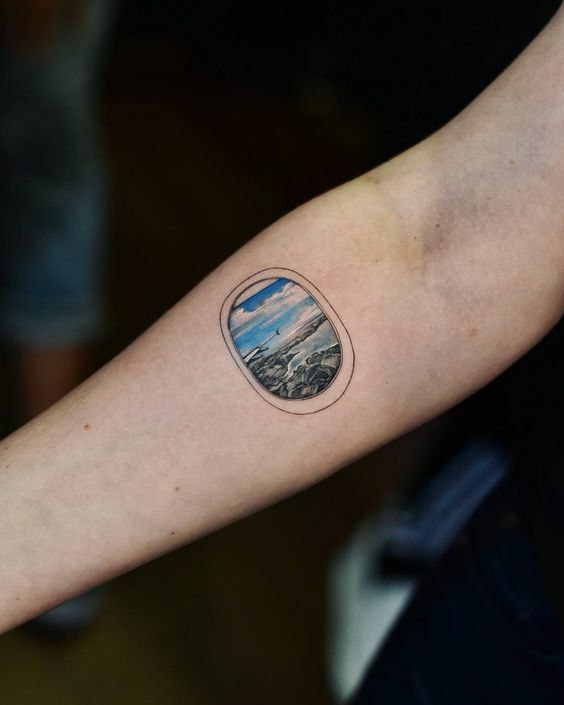 Airplane tattoo is a favorite choice of those who love to travel. Also, if you’re in love with the aeronautics – here’s another reason for you to get it. 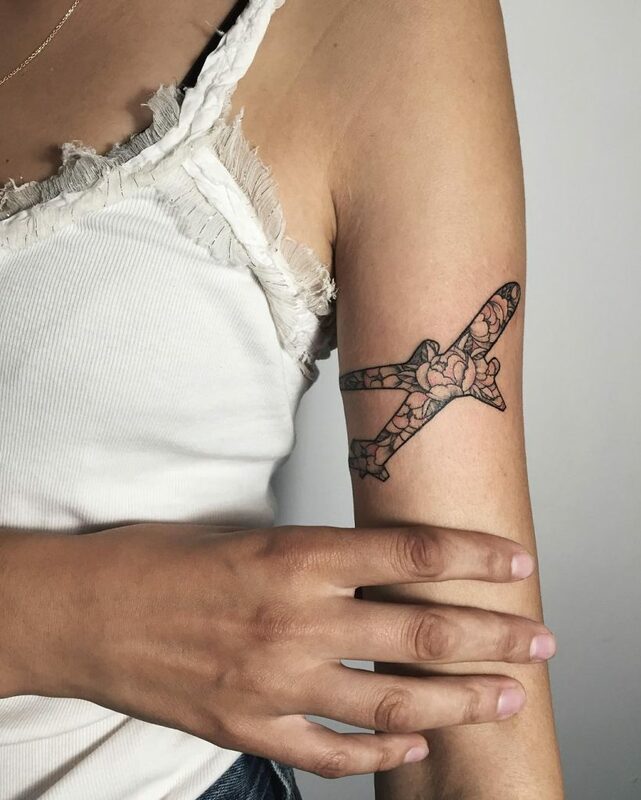 A small plane tattoo looks beautiful both on men or women, but what does it mean? And what different styles of planes you can get? In this post, we’re going to find out the answers to those questions. And as always – we’ve prepared a fantastic plane tattoo gallery at the end of the article. So, scroll down if you’re already know everything about plane tattoos. Since the dawn of time, people always wanted to get up into the sky and fly. During the aviation history, there were many tries to learn how to do it. In 852 AD, Abbas ibn Firnas jumped out of the tower with his self-made flying machine and flew a considerable distance. In that time, he couldn’t even imagine that the humans one day will be using planes on a daily basis. Until we mastered the science of aeronautics, people could only imagine what would it felt like to fly above the clouds. Today, the airplane is one of the most popular and most convenient ways of traveling. Because of the planes, we can now access the most remote places in the earth. Also, we can complete long distances in only 3 or 5 hours. According to the Flightradar24.com, there are around 15,000 airplanes all over the world every moment up in the sky. In other words, we can’t imagine our modern world without the planes, can you? Therefore, the airplane is a universal symbol or travel, discovery, and exploration. It is a final product of many years of engineering, constructing, testing, failing and even many deaths. So, it is also a symbol of respect to all those people who worked so hard for us to enjoy its benefits. 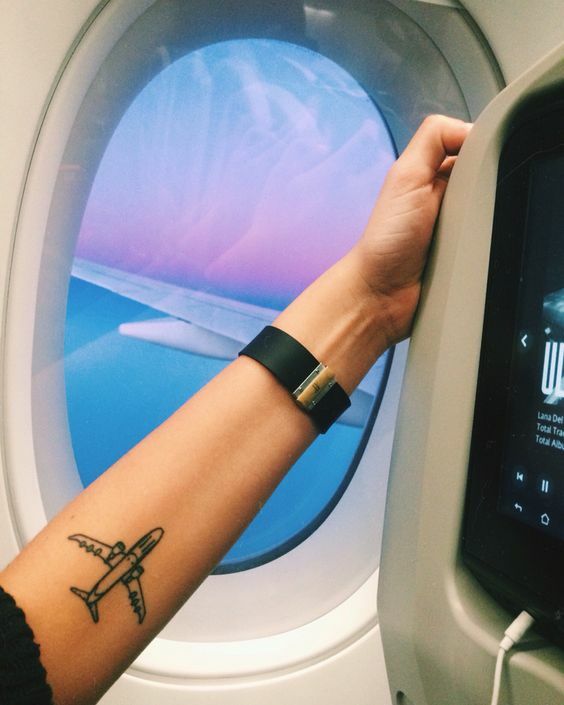 Recently, planes became quite a popular tattoo idea among men and women. 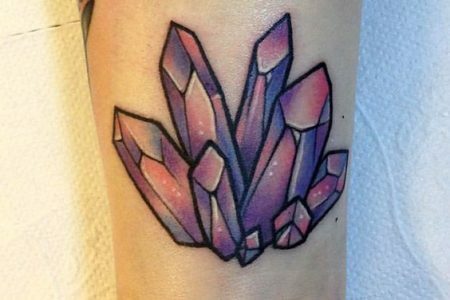 However, ladies prefer simpler and minimalist style tattoos. For airplanes, they choose ankles, wrists, arms or shoulders. Besides the aircraft, girls also like to complement it with a heart, arrow or some other little symbol which indicates that they love to travel. Meanwhile, the men are admirers of warplanes and more technical side of the aircraft. So they like to get an airplane in a more detailed style. But we can see that more and more men also tend to get minimal tattoos. They usually prefer arms or wrists for the placement of the plane tattoos. So, you now know what the meaning of the plane symbol is. Airplane tattoos are usually minimal, but we encourage you to be creative and to think your original design. A plane is a great way to express your love for traveling. Take a look at our list of epic airplane tattoos. We hope you’ll enjoy these ideas and will find the perfect one!